To meet growing demand, the FAO has estimated that world poultry production needs to grow by 2-3% per year to 2030. Much of the increase in output already achieved has been as a result of improvements in commercial breeds combined with rearing in more intensive production systems. However, more intensive systems and complex supply chains have increased the risk of rapid transmission of animal diseases and zoonoses. Consumer expectations of sensory and nutritional quality have never been higher. At the same time consumers are more concerned about the environmental impact of poultry production as well as animal welfare. Drawing on an international range of expertise, this book reviews research on safety, quality and sustainability issues in poultry production. Part 1 discusses risks from pathogens, detection and safety management on farms and in slaughterhouse operations. Part 2 looks at ways of enhancing the flavour, colour, texture and nutritional quality of poultry meat. Finally, the book reviews the environmental impact of poultry production. 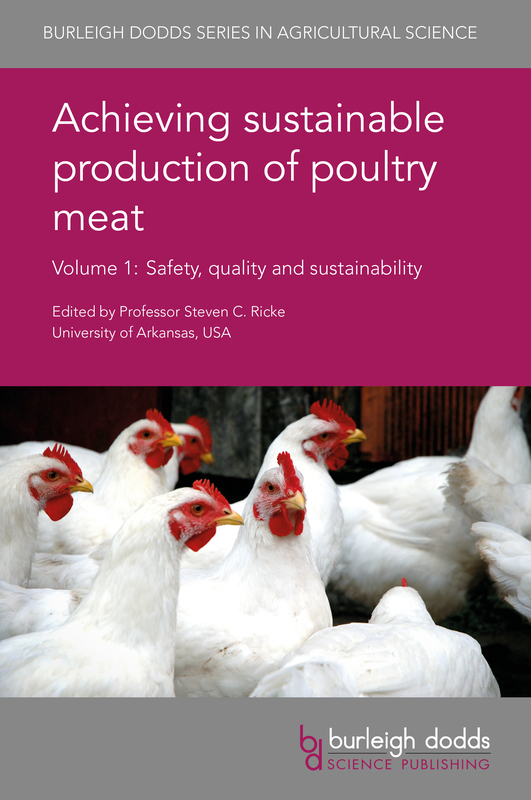 Achieving sustainable production of poultry meat Volume 1: Safety, quality and sustainability will be a standard reference for poultry and food scientists in universities, government and other research centres and companies involved in poultry production. It is accompanied by two further volumes which review poultry breeding, nutrition, health and welfare. "This is a timely book that provides not only a valuable account of modern food safety management in poultry production and processing, and enhancement of product quality, but also covers the key elements of sustainable production systems for a world now seriously threatened by climate change. With its appropriate international scope, Professor Ricke’s book will make a major contribution to this important subject and become essential reading for all those concerned." "Needless to say, such a book is timely as it provides a valuable account of modern food safety management in poultry processing, coupled with the key elements of sustainable production systems."